Women Techmakers, which is Google’s global programme and brand for women in technology, runs a global event series for International Women’s Day each year. The Belfast edition of the event is back for a fourth run this spring and will welcome over 200 people to Queens University Belfast on 9 March. The Women Techmakers event brings together a wide range of groups from the local meetup scene, including Lean in Tech, Women Who Code, Charged, Women Tech Space and DJango Girls. All of the above groups will come together in unity under one umbrella to learn new things and hang out with like-minded people. The initiative began with 50 delegates in its first year and now has grown to over 200 through word of mouth. Following the overwhelming response to our first open call for speakers last year, organisers have called on further speakers for the event. 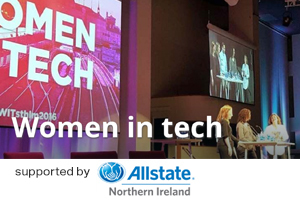 You can pitch a talk to the team by filling out a short form at: https://womentechmakersbelfast.com/ (deadline: 3 February 2019). The initiative welcomes speakers from all walks of life, whether you have been in the industry for while or are new. If you wish to deliver a 5-10 minute lightning talk - feel free to get in touch. “There are people out there that we won’t know, or we don’t think they would want to speak, or don’t know what story they have to tell," said Rachel Connor, Women Techmakers Belfast Team Lead. "By holding this open call, we are trying to hear from this community, and be as from ground up as we can." In previous years the Women Techmakers event has featured a range of talks from app development, 3D printing to test driven development and healthcare. “2019’s conference is supported by a range of local and international businesses, who like us, believe I highlighting the achievements of women working in the tech industry and we are so proud to be sponsored by great partners to make that happen”, added Connor.